Do video games cause violent, aggressive behavior? Can online games help us learn? When it comes to video games, these are often the types of questions raised by popular media, policy makers, scholars, and the general public. 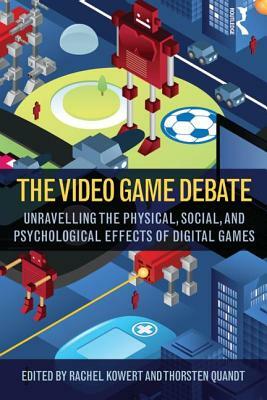 In this collection, international experts review the latest research findings in the field of digital game studies and weigh in on the actual physical, social, and psychological effects of video games. Taking a broad view of the industry from the moral panic of its early days up to recent controversies surrounding games like Grand Theft Auto, contributors explore the effects of games through a range of topics including health hazards/benefits, education, violence and aggression, addiction, cognitive performance, and gaming communities. Interdisciplinary and accessibly written, The Video Game Debate reveals that the arguments surrounding the game industry are far from black and white, and opens the door to richer conversation and debate amongst students, policy makers, and scholars alike.